Taraba State University, Jalingo TSU Acceptance Fee Payment and Registration Guidelines for Freshers and Returning Students for 2018/2019 Academic Session. The Management of the Taraba State University, TASU wishes to inform all newly admitted and returning students of the various degree programmes of the institution that the registration exercise for the 2018/2019 academic session has commenced. All students are advised to visit the University portal to commence online registration immediately. Successful applicants should login to the Student Portal (with JAMBNO as USERNAME and PASSWORD), then proceed to make payment for their Acceptance Fee, thereafter print out their Offer of Admission Letter. 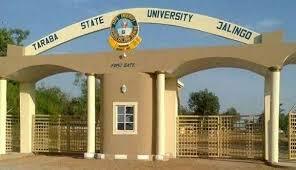 Login to the student window with your JAMB NUMBER as the USERNAME and PASSWORD. NOTE: Kindly ensure you change your password upon successful login. If you can't remember your login details, feel free to chat with the support team to help you retrieve your login details or visit your department.